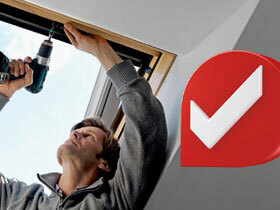 The VELUX name has long been a mark of quality, expertise and innovation. and by becoming a 5 star VELUX Installer Partner we can now offer our customers peace of mind when choosing and fitting roof windows knowing we are working with a company whose reputation in the roof window market is unsurpassed. Now we are a VELUX Installer, we are part of a select team, combining our skills with the best products to give our customers the best advantage in choice of product range, innovative technology and expert technical advice. The NFRC has issued their latest guide for homeowners and how to comply with the current Part L building regulations, saving home owners and Contractors the risk of falling foul and being fined up to £5,000. Roofing deserves its own show case…..now its got it! Anyone involved with the design, specification and construction of roofs in either the domestic or industrial sector will benefit from spending time at Roofex and in particular: Architects, Structural Engineers, Civil Engineers, Materials Engineers, Roofing Contractors, Public and Private Utility Companies, Local Authorities, Heritage RMI specialists, Specialist Roofing Merchants and Distribitors, Builders Merchants, Housing Associations. Roofex 2013 is the perfect opportunity top see your industry gathered under one roof and learn what really makes it tick! • Conservation of Natural Habitats and of Wild Fauna and Flora. A disturbance’ includes any work in or affecting a bat roost, which under the law is any structure or place used by bats for shelter or protection. In order to work within the law, seek advice from the appropriate SNCO (Statutory Nature Conservation Organisations) in any situation where an operation may affect bats or their roosts. Cembrit can also offer advice on best practice and a Bat Vent datasheet is available on request.